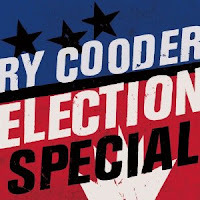 Ry Cooder has a politically charged album titled Election Special on the way. 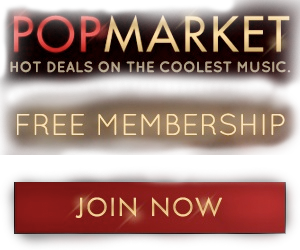 The album is due on August 21 just ahead of the U.S. Presidential election in November. Ry wrote all the songs on the album except for Take Your Hands Off It with his son Joachim. 1. Mutt Romney Blues: Reverend Al Sharpton said, “How he treated his dog tells you a lot about him.” Where did Mitt Romney learn that hollow laugh of his? A correspondence course on how to scare your dog shitless? He sure scares me, I don’t mind telling you. 2. Brother Is Gone: The only logical explanation for the Brothers I could come up with is, they made their deal at the crossroads with Satan. Satan will need to get paid, but in the meantime, they are doing everything in their power to hurt you and me. The big hurt. 3. The Wall Street Part of Town: Is there a Wall Street part of town in your town? Start your own, it’s easy. When the police come, remind them that you pay their salary, such as it may be. 4. Guantanamo: There’s a beautiful Cuban song about a country girl from Guantanamo. The lyrics were written over a hundred years ago, and they say something about peace and freedom, so I guess the problem hasn’t been solved yet. Prisons are the new growth industry. 5. Cold Cold Feeling: The president, alone in the dark, walks the Oval Office floor. Before you criticize and accuse, walk a mile in his shoes. 6. Going to Tampa: As a mother, will Sarah Palin lead the Republican convention in a prayer for Treyvon? Will “Stand Your Ground” stand? Don’t forget your bed sheet and keep your money in your shoes. 7. Kool-Aid: A lament for this guy Zimmerman, and all the many Zimmermans. Too late, they find their masters have given them gun rights and new “Stand Your Ground” lynching laws instead of good paying jobs and secure futures. They drank the Kool-Aid, they really drank it down. 8. The 90 and the 9: A possible political discussion between a father and child. Here in Los Angeles, they allow military recruiters in public schools. If you speak against it, they come down hard on you. I don’t even know what name you give to a criminal conspiracy like that. 9. Take Your Hands Off It: Woody said, “This land is your land.” There’s a famous photograph of a sign that reads, “Don’t let the big men take it away.” On the other hand, James Baldwin believed the concepts of nationhood such as freedom, equality, and democracy are superstitions, nothing more.